Till date, only a few hundred optic neuritis cases with anti MOG syndrome and steroids resistance are recorded world over. 8 August 2018; Ras Al Khaimah: Nawzer Lala, a diabetic middle-aged gentleman, had not the foggiest idea that Optic Neuritis (ON) with positive Anti MOG syndrome is even a disease he would have to deal with. 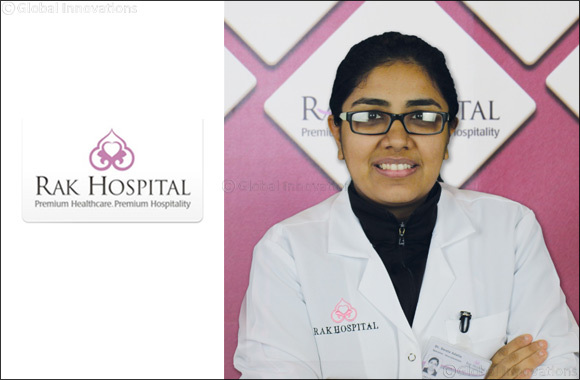 After experiencing repeated attacks of pain around the eyeball with visual loss alternatively in both eyes, Nawzer was referred to Dr. Sweta Adatia, Specialist Neurologist at RAK Hospital, who detected the problem immediately and after a complete examination concluded these attacks were episodes of Optic Neuritis (ON) linked to Anti MOG positivity. ON is an inflammatory disease of the optic nerve (the nerve that transfers information from the retina to the brain that facilitates vision) characterized by pain and visual loss and often associated with multiple sclerosis (MS) – a chronic disease that attacks the central nervous system, affecting the brain, spinal cord, and optic nerves. In 15-20% of people who eventually develop MS, Optic neuritis is their first symptom. The risk of developing MS following one episode of optic neuritis is approximately 50% within 15 years of any first episode of optic neuritis. However, certain forms of optic neuritis are not related to MS. They are autoimmune in nature with the body’s own mechanism attacking the optic nerve. “It was a first of its kind case not just for our team but even world over, there have only been a few hundred such cases recorded so far where the patient with Optic Neuritis is found anti MOG positive and gets relapses despite being on steroids and other immune suppression agents. This obviously meant we hardly had any evidential data to support us during the treatment plan. However, despite encountering several obstacles, we were eventually successful in stabilizing the attacks with the help of pulsed steroid therapy while maintaining the regular oral steroids. This case was truly a roller-coaster ride for both Nawzer and our team. Nevertheless, he was very determined and co-operative throughout the treatment. Incorporating several lifestyle changes since then, he is constantly in touch with us and reports upon the slightest of pain or change in vision. Despite all odds, we have overcome this together and finally restored his vision to a full 6/6,” added Dr. Adatia. “The timely intervention and precise diagnosis by the experienced Neuroscience team of doctors at RAK Hospital has been able to restore my vision and now am enjoying the world with colors just like everyone else. With the help of the team, I am now working on leading a healthier lifestyle with proper checks on diabetes, coupled with regular exercise and a healthy diet”, commented Nawzer, thanking the hospital.